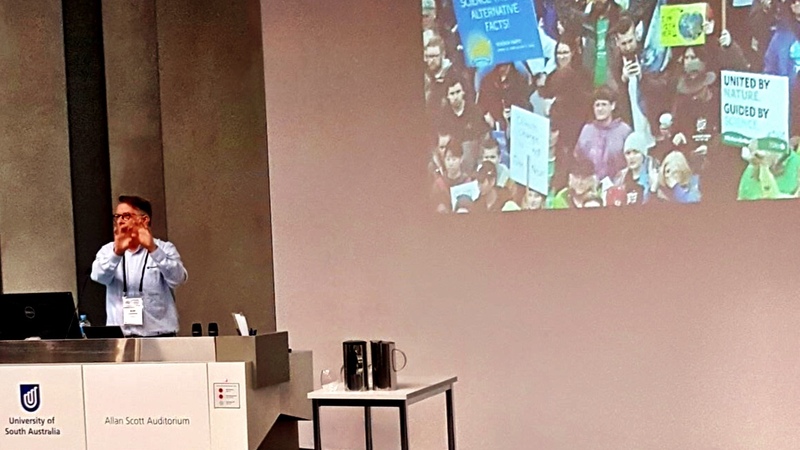 Last week I posted about the talk I was giving in Adelaide at the second Australian Citizen Science Conference (#CitSciOz18) – Citizen Science Project Design and Continuous Engagement Strategies. This week I’m reporting on just a small amount of the amazing activities presented there. Citizen science has to make the world a better place. Finkel then provided an extended example of a nineteenth-century Australian ‘citizen science’ project conducted by botanist Ferdinand Mueller that exemplified his three points. As the next speaker, and also a taxonomic botanist like Mueller, this was an unexpected opportunity for me to highlight the continuing decline in taxonomic positions across Australia – a critical science fundamentally underpinning species-based citizen science projects. The range and variety of the talks and workshops over the three days were, frankly, astounding. Of the many, one address highlighted for me the development of citizen science in its application to a widening range of scientific and social issues. 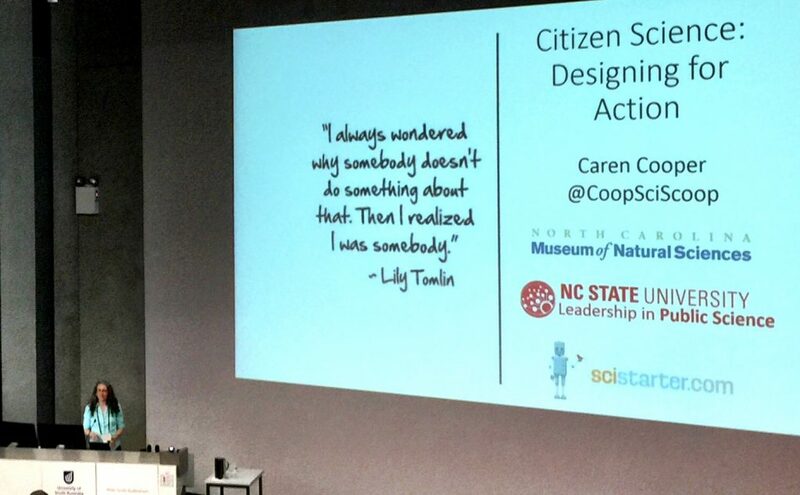 Dr Caren Cooper’s Citizen Science: Designing for Action outlined the utility of citizen science programs to support environmental and social justice. I would recommend reading her recent book Citizen Science: How Ordinary People are Changing the Face of Discovery as a useful resource for managers of citizen science projects particularly, or just for inspiration! During the ACSA AGM three state-based branches were ratified – Western Australia, South Australia and Victoria, with more to follow. Of the three, WA seemed the most organised currently – they even have an active Facebook page! The poster session was well-attended but too short! During the conference, a number of projects we’ve been involved in were represented, including ClimateWatch, Discovery Circle, CAUL Beneficial Insects, MicroBlitz, Dolphin Watch and Birds in Backyards; and the ACSA committee kindly thanked Gaia Resources for designing and building their new web presence. 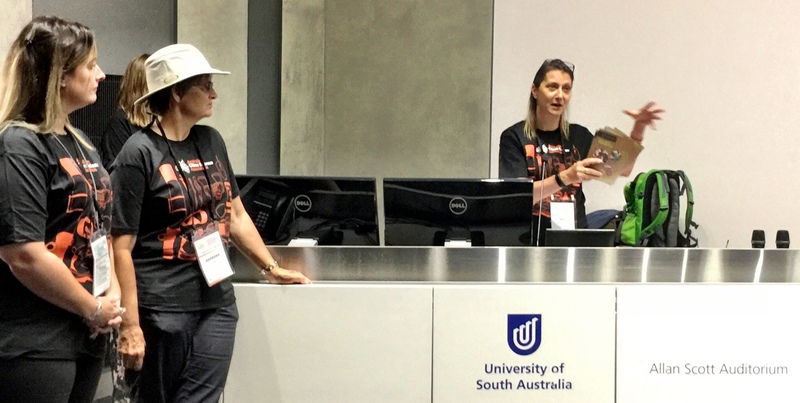 Congratulations to the ACSA committee – this was truly an inspiring conference illustrating the strength of citizen science in Australia and around the world. I hope some of you followed my reporting of #CitSciOz18 on our Facebook or Twitter feeds. If you’d like to know more about how we can help you with developing a citizen science program, or how a smartphone app could improve your community engagement and scientific data capture, then please leave a comment below – or email me directly via alex.chapman@gaiaresources.com.au.